In this 5-week short course, you will develop an understanding of how social media impacts the digital strategy for your brand, product launch or start-up. We’ll look at aspects of digital strategy and how they come together in social platforms to achieve your goals. This short course is also a taster of the Master of Applied Digital Marketing course. Find out more in this free short course! This course was developed by Andrew Mashman, who is our senior industry based Digital Marketing lecturer. Andrew has over 20 years of commercial marketing experience in the commercial marketing where he specialised in designing, developing and launching products and services with an obsession for engaging customers and stakeholders. In 2000, Andrew established Liberated Vision, a company that specialises in consulting and training around Marketing, Marketing Planning and Project Management challenges for all types of business – NFP, Government and Commercial. During the course experts in Social Media Platforms and digital transformation will also be joining Andrew as guest speakers. Join the conversation with Andrew and our expert guests, follow Andrew on LinkedIn https://www.linkedin.com/in/andrewmashman/ and Twitter @amashman, Facebook https://www.facebook.com/gettingsmarter/ as we share digital strategy and hands-on tips with the hashtag #igetdigital. The aim of the short course is to give you a ‘taster’ of what it is like to undertake postgraduate study via Online Education with Charles Sturt University. The short course is based on the first few weeks of subject MGI533 Social Media Marketing which is one of the core subjects in the Master of Applied Digital Marketing. 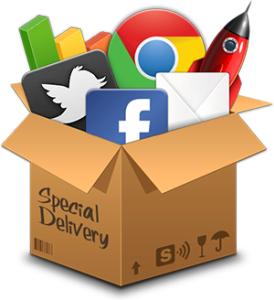 Yes — during the short course you will develop a Social Media marketing plan for a product or service of your choice. Your plan will be accessed by your peers and for a fee, there will be the option for you to get your plan accessed by an expert.